Shanghai Cricket Club Captain Dayne Wotton today announced the teams for the upcoming Bokhara Bell Memorial Trophy Interport match against Hong Kong Cricket Club on Saturday and the social Twenty20 match on Sunday. The SCC Dragons will play the 50 over Bokhara Bell Memorial Interport match on Saturday at Wellington College Ground. The match begins at 10 am. 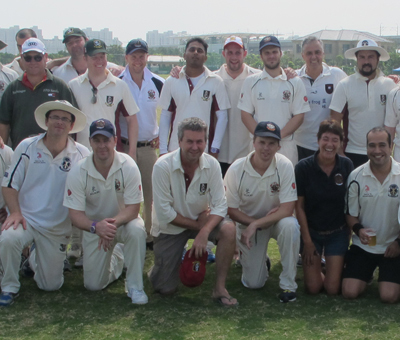 The SCC Pirates will play HKCC on Sunday in a Twenty20 social match at Wellington. That match is scheduled to start at 9:00 am.